You can rebuild your credit by taking out a “second chance” loan. Taking out the financing is generally easy and can be done online. A second chance loan, or bad credit financing, can take one of several forms. Bad credit funding is represented by title loans, car loans, and home equity loan packages. For example, you can borrow as much as $20,000, via a title loan if you have a car that is six years or newer and is paid off. You can obtain money for older cars that are paid in full if they are higher-end models too. 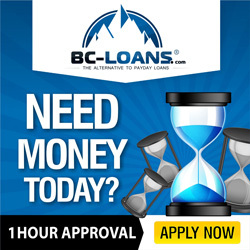 You can also obtain bad credit financing from a car dealer as well. In fact, many people who have gone through bankruptcy can obtain vehicle financing if they have been on the job for at least a year. Generally, you will have to take out the loan for a higher APR. However, what most people don’t realize is that they can renegotiate financing after 12 to 18 months at a lower payment, provided they have been making the higher interest payments on time. Go back to the lender where you obtained the loan to see if you can lower your payment amount. Usually, they won’t want to lose a reliable payer and good customer, so they can arrange a deal. Naturally, this type of funding is easier to arrange when the car is not financed by the dealer. Because the sales transaction has already been made, the dealer usually isn’t thinking in terms of saving you extra money. Still, a dealer or a bank can lower the monthly amount by extending the financing time. You can also obtain a refinanced vehicle loan, which replaces the initial auto loan with a new one. The loan, which can be unsecured or secured with collateral, can be obtained at a lower interest rate. Naturally, you want to make it your goal to refinance your higher interest loan if you can manage it. Second chance loans can also be obtained in the form of home equity financing. Typically, you can borrow as much as $15,000 with a home equity personal loan that is unsecured, provided you have accumulated 50% equity on your real estate. Because the loan is unsecured, it is not a mortgage. Lenders also report the payments to the two major credit agencies – all which gives you the opportunity to rebuild your credit and improve your score.